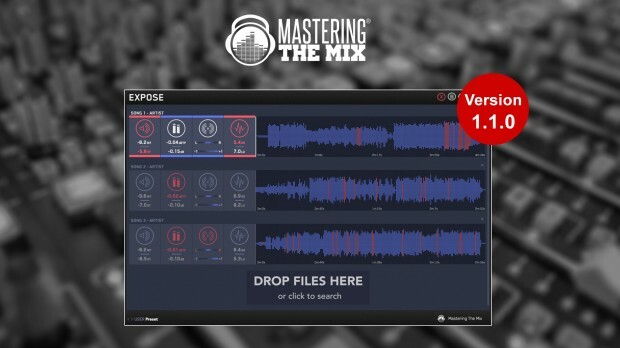 Mastering The Mix have today updated their EXPOSE plug-in to version 1.1.0 with added features set, bug fixes and improvements. Purchase Mastering The Mix EXPOSE Here ! What’s new in Expose version 1.1.0. This is a free update for existing customers. Existing customers can access the update via their account area on Mastering The Mix or from within Expose itself by clicking the (?) icon in the top right corner of the GUI. This entry was posted in DontCrack, Plug-ins and tagged Dynamic range, Expose, EXPOSE 1.1.0, Loudness, Mastering The Mix, peaks, stereo/phase information. Bookmark the permalink.